Weird Fantasy TV Show Announced | Nerd Much? The production team at Hivemind has announced that they’ve struck a deal with the folks at William M. Gaines Agent, Inc. 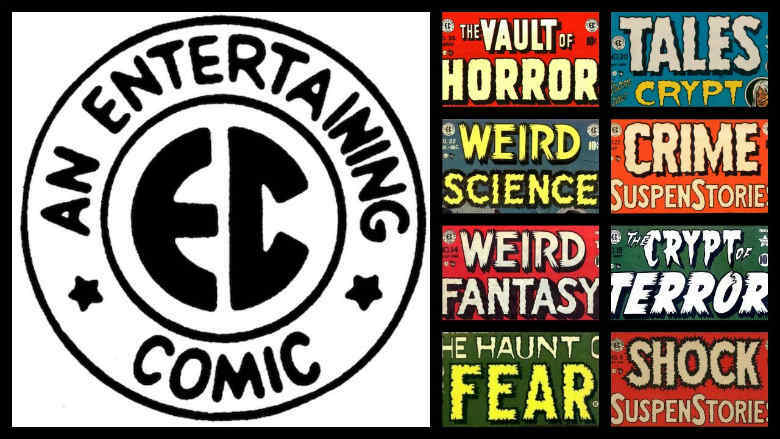 The duo will work together to develop line of projects based upon the iconic EC Comics line of years past. With the first in line being a Weird Fantasy TV show. The EC Comics roster was pretty robust back in its day. The banner covered numerous genres, including horror fiction, crime fiction, military fiction, science fiction, dark fantasy and satire. With some of its most iconic publishing including the aforementioned Weird Fantasy, Tales from the Crypt and Mad. With the latter leading the company to its greatest success through the mid 1950s. EC Comics’ Weird Fantasy line generated a few polarizing issues based upon social inequalities. One of the most famous was Weird Fantasy #18 which was published in April 1953 and entitled Judgement Day. The story revolved around a human astronaut who arrived on the foreign planet Cybrinia as a representative of the Galactic Republic. The astronaut finds the planet inhabited by a society of robots. The robots are nearly identically in almost every way except that some robots are blue and some robots are orange. The human astronaut eventually finds that these robots have been segregated into two distinct classes, one blue and one orange, with one have significantly fewer rights than the others. Do the bigotry infesting on Cybrinia, the astronaut decides to disallow the planet entry into the Galactic Republic. As the story concludes, the astronaut returns to his spaceship and removes his helmet to become more comfortable. It’s then revealed that the astronaut is black. Again, originally published in 1953, the Weird Fantasy #18 caused quite a stir. One would expect a Weird Fantasy TV show to take aim at the same sort of subject matter. Only this time under the scope of the modern world.